Are you thinking about straightening your teeth? A straighter smile through Invisalign treatment or other orthodontic options will set you on a path to more confidence and success. Lakewood Invisalign treatment not only works to improve your smile, but it also comes with amazing advantages over traditional braces. Not only is invisalign treatment virtually invisible on your teeth, but the aligners are easy to remove and work well with your lifestyle. Read on for more advantages of Invisalign treatment! You may have heard of Invisalign treatment before. This type of orthodontic treatment has been around for about 20 years, but has continually gained popularity—especially among adults and teenagers. We offer an alternative to traditional metal braces that can discreetly straighten your teeth while improving the functionality of your smile. Invisalign does all this without anyone knowing that you are even straightening your teeth! Invisalign is a series of transparent aligners that gently move your teeth into a straighter position. You meet with us for an Invisalign consultation and we are able to take digital images of your teeth. With these, we make a model of your mouth and plan out a trajectory of your straightening treatment. Based off of your mouth, we design transparent aligners that will be switched out every 1-2 weeks. You wear these aligners throughout the day and night to move your teeth into that beautiful straight smile you’ve always wanted. They can even correct bite and malocclusion problems. 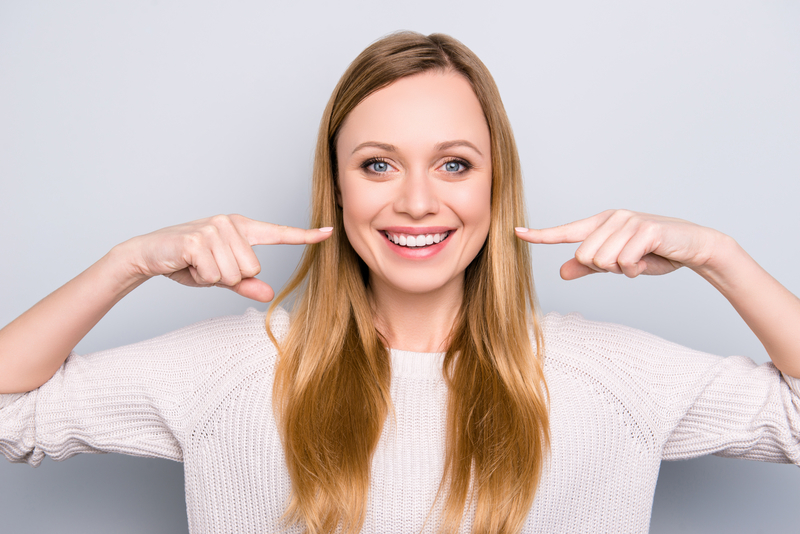 There are many advantages to Invisalign treatment, which is why our patients love this option! It’s designed to be virtually unnoticeable on your teeth. The aligners are clear and fit snug to your teeth, meaning no one will know you’re wearing them. The aligners can easily be removed during eating, drinking, flossing and brushing. You can’t do that with any other braces option, as all the other options are cemented to your teeth. Being able to remove the aligners makes it so you have freedom with your treatment, especially if you need to remove the appliance to play sports. Less office visits are typically needed compared to traditional braces. You only need to come into the office every 4-6 weeks at a time. 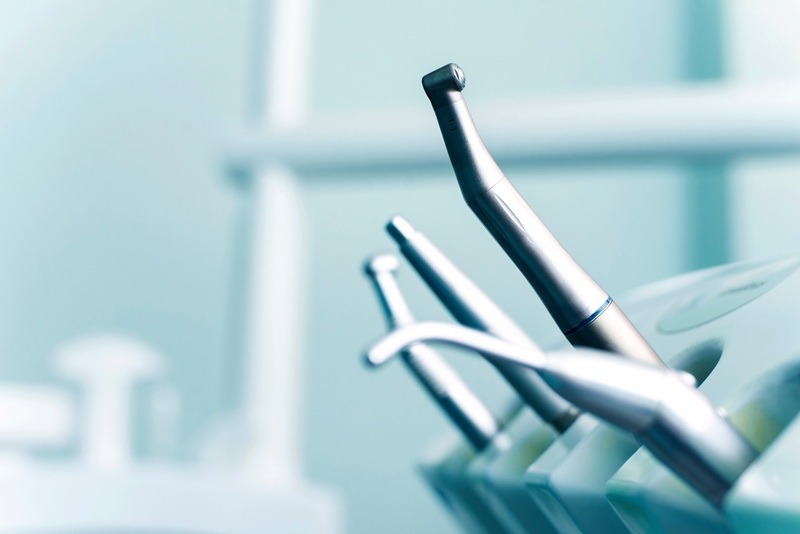 Teeth are easier to clean for optimum oral health during treatment. You simply remove the aligners at night, clean them, and clean your teeth as you normally would. Flossing is quick and easy, as are brushing your teeth. Traditional braces take much longer to clean. Total time for optimal results is usually shorter than metal braces treatment. If you need only slight orthodontic correction, you won’t need Invisalign treatment for very long. There are various types of orthodontic options out there besides Invisalign treatment. Traditional metal braces are the most common orthodontic appliances because they are the cheapest option for straightening your teeth. These appliances involve very visible metal brackets attached to the center of each tooth with a metal archwire that passes through the brackets on top and bottom. Lingual braces are also metal braces, but they are attached to the back of your teeth. Clear braces are a very close cousin to metal braces, as they are built the same, but out of ceramic material that is white like your teeth. All options will straighten your teeth very well, but Invisalign is the most invisible option you can have. This is why adults and teens alike love Invisalign treatment so much. 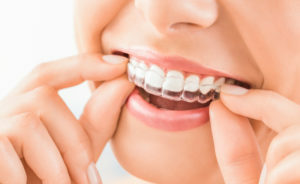 You can use Invisalign treatment for simple straightening cases or complex bite and malocclusion cases. It’s invisible and you can see how your teeth move at every stage of your treatment. You can’t do that as clearly with other types of braces, but must wait until the end of treatment to see your smile. 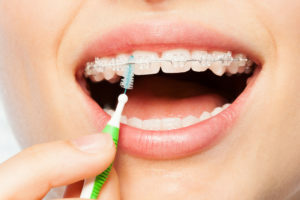 Studies also suggest that teens who do Invisalign treatment (as compared to other orthodontic methods) are 2 times more likely to have a boost in their self esteem. Who wouldn’t want that? We believe that smiles are meant to be shared. However, many people with braces shy away from smiling because of the metal in their mouth. This is common with traditional metal braces, especially with adults. However, a straighter smile can do wonders for your professional and social life. Studies show that a straighter, more beautiful smile can make you more attractive to others. An amazing smile not only boosts your confidence, but can make you more successful because you feel more confident. You’ll smile more, drawing others to you and you will even be happier. Invisalign has conducted their own research about straighter smiles and what they do for you. After orthodontic treatment, a person with a straighter smile has a leg up on their competition when it comes to landing a job. Employers are more likely to employ someone with a straighter, healthier smile because it makes them appear healthier and successful. People perceive people with straighter teeth as 58% more likely to be wealthy, 45% more successful, 47% more likely to be healthy and 38% smarter. 73% of people are also more likely to trust someone with straight teeth over someone who has crooked teeth. If you want a straighter smile, don’t wait to get it! With the clear, removable aligners that Invisalign uses, Dr. Hardy can help you gradually move your teeth into their proper position. He can also correct malocclusion (bites that don’t close correctly), without the discomfort and presence of metal braces. When you select Invisalign to correct your smile, no one else has to know! To learn more about this braces option, call Belmar Orthodontics today at (303) 225-9016! School is just around the corner and it’s time to prepare your peers for your beautiful smile. Braces not only help straighten your teeth, but they can also improve your speech, your appearance and–most importantly–your confidence! New technology gives you more options for adding a little fashion flare to your smile or straightening your teeth discreetly. Learn about all of your amazing options for braces today. Summer is almost over and it’s back to school time. Is your smile ready? A lot can happen over the summer and each year brings new exciting changes. Getting a straighter, more beautiful smile is something you don’t want to be without as a new year starts off. Did you know that kids with straighter teeth tend to feel more confident in school and around their peers? That confidence can help them get better grades, make more friends, and be more willing to try new opportunities. Every child and teenager alike wants to shine in their own way. You can do that and receive more confidence by getting your braces just in time for school. 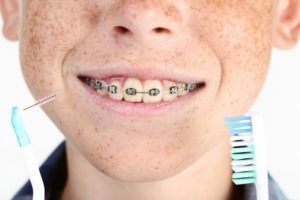 In the past, many adolescents saw braces as embarrassing or unattractive. 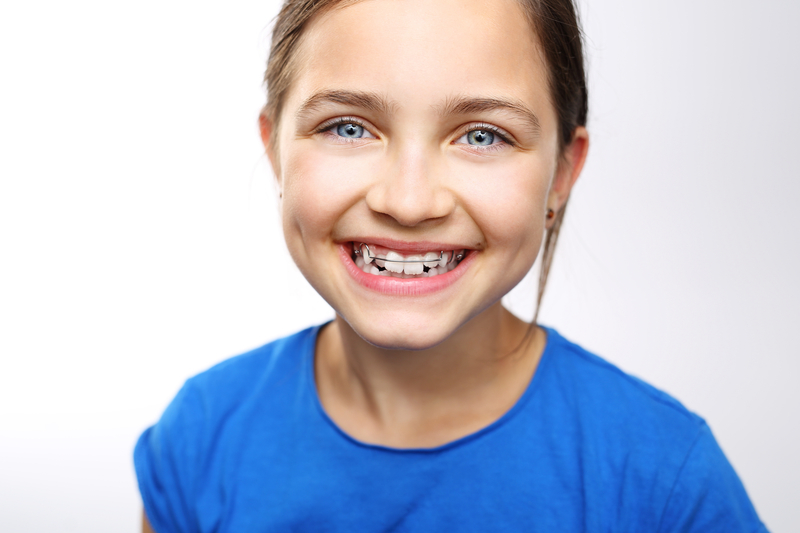 However, studies show that children and teens are receiving braces in much larger numbers than they did in the past. Now, instead of being embarrassing, braces are seen as a luxury for many families and individuals. In times of recession, families even go without necessities to make sure their children receive braces. Braces truly are worth having because of how beneficial they are for boosting self-esteem, confidence and how you’re perceived socially. Investing in them is a great way to help a child as they start off school once more. Traditional Metal Braces – This is our most economical option. Our patients love the colorful bands that they can customize their braces with. Each patient can choose a certain color they love every appointment or even do a rainbow of color if they so choose. Incognito Lingual Braces – This option is very similar to traditional metal braces, however the braces are worn on the tongue-side of your teeth. We make an impression of your teeth and then custom-make braces that fit the inside of your teeth perfectly. You can straighten your teeth with the perfect hidden apparatus. Clear Ceramic Braces – We can provide ceramic braces for our patients. These braces are similar to traditional metal braces, but they are made from ceramic material. The braces blend in with your teeth perfectly as the brackets and even the wires can be made white. Ceramic braces can also decrease demineralization that can happen with metal sometimes. Invisalign Teen – This is a version of Invisalign transparent aligners designed with the needs of teenagers in mind. 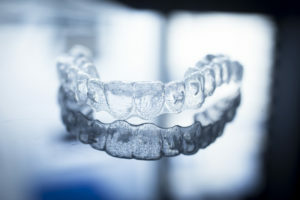 These custom-fit aligners can correct smiles and unevenly-spaced teeth while allowing patients to continue eating, drinking, and cleaning their teeth with ease. Your braces are something new and exciting. However, they must have proper care to truly work wonders. Brush and floss your teeth often. We recommend brushing and flossing at least twice daily. However, with braces you may want to brush the teeth more than twice a day. After each meal would be best, as food can become trapped in the brackets very easily, where it will then sit on the teeth. Plaque is a sticky, acidic substance that you want to avoid. Plaque is made from the sugars in the food you eat that mix with the bacteria in your mouth. When food is left on the teeth, that plaque can form and begin to erode your teeth. Not brushing and flossing enough can cause erosion and demineralization that will be obvious once the braces come off. Use special flossers to get in between the teeth sufficiently. Take care of your teeth so that your smile is beautiful and straight without blemishes when your braces come off! Your braces are easier to manage when you’re prepared. At school, take a mouthguard with you to gym class. You can get injured with braces when playing sports, especially contact sports. A mouthguard will help protect you and your mouth from injury. Be careful what you eat as well. Some foods can damage or break your braces and other foods can get tremendously stuck in the brackets. Some foods to avoid are anything hard, gooey, crunchy or sticky. This includes food items such as gummy bears, fruit snacks, hard candies, chips of any kind, hard vegetables, and nuts. If you really want a food (such as hard fruits and veggies), make sure to cut them up into bite-size pieces. Biting into foods can lodge them into the braces, so be careful with this. We also have braces kits you can have or tips to make one yourself. Take a kit with you to school that has the cleaning essentials you need: mirror, toothbrush, toothpaste, floss and flossers, wax for pokey wires, etc. If you need a quick cleaning or a quick fix for a wire, you’ll be set! There never was a better time to straighten your smile! Braces can provide your child the boost of confidence they need to start of the school year right. If you want to schedule your child’s appointment, call our Belmar Orthodontics office today at (303) 225-9016! 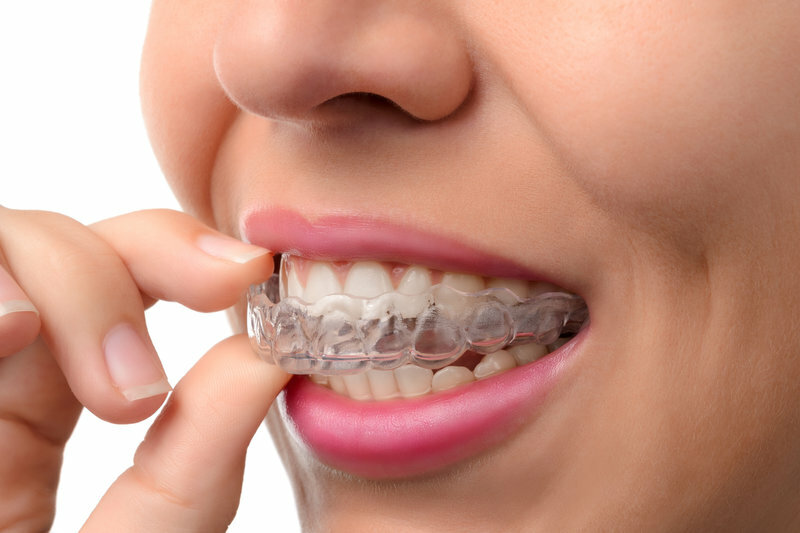 Invisalign Transparent Aligners or Metal Braces? We offer many different straightening methods at Belmar Orthodontics including Invisalign transparent aligners and traditional metal braces. In the past, traditional metal brackets were the only option for teeth straightening around. With the advancement of technology, we are now able to align the teeth with transparent aligners that work just as well as metal brackets. What are the differences between aligners and metal brackets? Which option is better for you when it comes to choosing between the two? We can answer all of your questions about Invisalign aligners and traditional metal braces and help you find the right straightening method for you. Metal braces are also known as “traditional” braces? Why? They’ve been around for decades and have proven time and time again that they work. Years ago they became the go-to option for orthodontic care and have stood the test of time. There have been tweaks here and there to make metal braces more modern, but overall, not much has changed. They are still the most popular option for braces among teenagers and the most economical choice for orthodontic care. Metal braces consist of metal square brackets that are attached to the center of each tooth with a special type of bonding glue. This glue is strong enough that the brackets stay bonded to your teeth, but also versatile enough that the glue can be removed once treatment has come to an end. 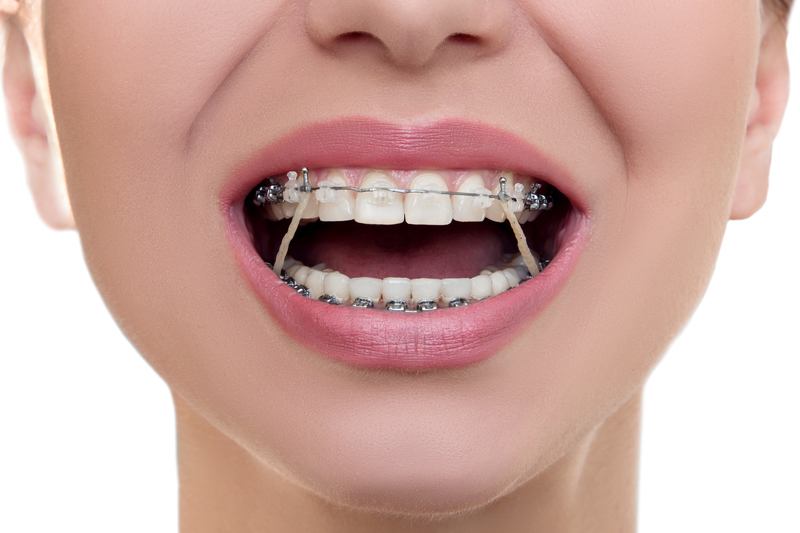 Metal braces have a thin wire that connects and goes through each bracket on the upper and lower jaw. In total, you will have two wires. These are known as “archwires” and they create an arch in your mouth that follows the natural curve of the jaw. Over time, these archwires will move the teeth into proper place so that they make the perfect, straight arch on the upper and lower jaw. 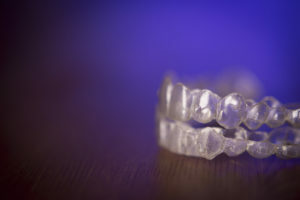 What Are Invisalign Transparent Aligners? If you’ve looked into options for orthodontic care, you may already be familiar with Invisalign. This treatment option is a series of transparent aligners that slowly mold your teeth into proper position over time. Your doctor will scan your teeth using a digital scanning system that will then create 3D images of your teeth. You will then receive custom-made aligners made from Invisalign’s SmartTrack material. This material is transparent yet strong. The clear, removable design of these aligners renders this orthodontic treatment virtually invisible to others. The best part is that Invisalign works well just like traditional metal braces do for shaping your smile. Simply change out your transparent aligners ever 1-2 weeks and watch how your smile changes over time. Adults and teenagers alike love this option for orthodontic care because of their ease of use Patients can eat, drink, and clean their teeth with ease. These aligners must be worn the majority of the day, but can be removed when needed for certain activities. 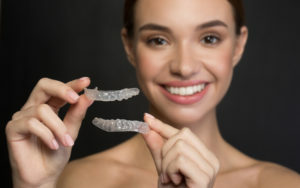 Invisalign transparent aligners are more costly than metal braces, but you gain the benefits of easy use and cleaning, and the ability to straighten your teeth in secret. Orthodontic care is not only for teenagers. About 25% of all braces wearers are adults, which is a higher percentage than it’s been in the past. Why is this? In decades and years past, people only had one choice when it came to braces: traditional metal braces. Some adults and teenagers avoid receiving braces although their smile needs them. Why? Because they don’t like the look of braces or they feel they are unattractive, distracting, or childish. Studies actually show that braces are quite the luxury to have. However, modern-day orthodontics offer treatment options everyone can be comfortable with. Ceramic Braces – These are the same size and shape as metal braces. They function similarly to traditional metal brackets but they use ceramic brackets that are made to match the color of your teeth. Many patients love this cosmetic benefit of blending the braces to the teeth. Even the archwire can be made white! The ceramic has been shown to be much more resistant to staining and helps protect your smile from demineralization. Lingual Braces – Lingual braces are an amazing alternative to traditional metal braces. Lingual braces are a close cousin to metal braces. They actually look quite the same, except for the fact that the braces run along the inside of the teeth next to the tongue. You can achieve the same results as traditional orthodontics in a manner that is inconspicuous and undetectable. Dr. Hardy will make a custom mold of your teeth so that custom metal pieces can be made for each tooth back. These will then be attached snug to the inside of the tooth along with the brackets. An archwire will complete the braces and you can begin to experience the straightening power of lingual braces. It’s never too late to correct orthodontic conditions you have. The benefits of adult orthodontics include: faster treatment time than former techniques, more discreet treatment options, correction of dental issues, increased confidence and even increased self esteem. When it comes to starting your journey to a straighter smile, we have options for you! To see if you are a great fit for ceramic braces or Incognito lingual braces, contact our Belmar Orthodontics office today at (303) 225-9016 for your free consultation. A straighter smile is just one call away!